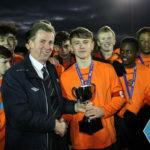 The Champions Cup has been a staple of our work for years here at DB Sports Tours, and on December 27th the Champions Cup kicked off the 5th year in a row. 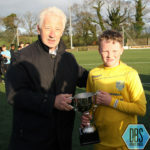 Set in Armagh City’s grounds the Champions Cup brought together a number of schoolboy teams from both the Northern Ireland Football Boys Association (NIFBA) and the Schoolboy Football Association of Ireland (SFAI) in what was said to be another huge success for the tournament. 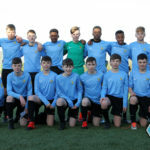 The likes of St. Kevin’s Boys, Linfield and Cherry Orchard were just some of the fine clubs to take part in the latest iteration of the Champions Cup, with the reputation of the tournament undoubtedly growing once more. 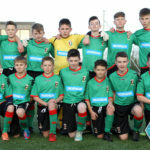 In the 2004 age group Glentoran F.C. 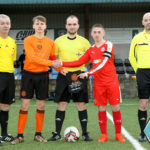 of Belfast faced off against Cherry Orchard of South Dublin. 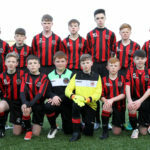 In the match featuring the youngest players on the day it was the NIFBA representatives who ran out 4-1 winners, with the Ballyfermot outfit struggling to keep up with the rampant Glentoran side. Glentoran were 2-0 up inside the first-half, while Cherry Orchard pulled one back following the break. 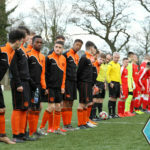 Despite that it was the Belfast natives who subsequently pulled one back and then extended their lead later in the second-half to put some polish on an impressive victory, running out 4-1 winners on the day. 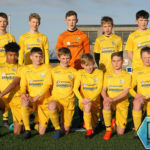 Meanwhile the 2003 age group fixture saw Dungannon United Youth took on Belvedere FC in another intriguing match and eventual victory for the NIFBA representatives, where Dungannon won the match 4-2. 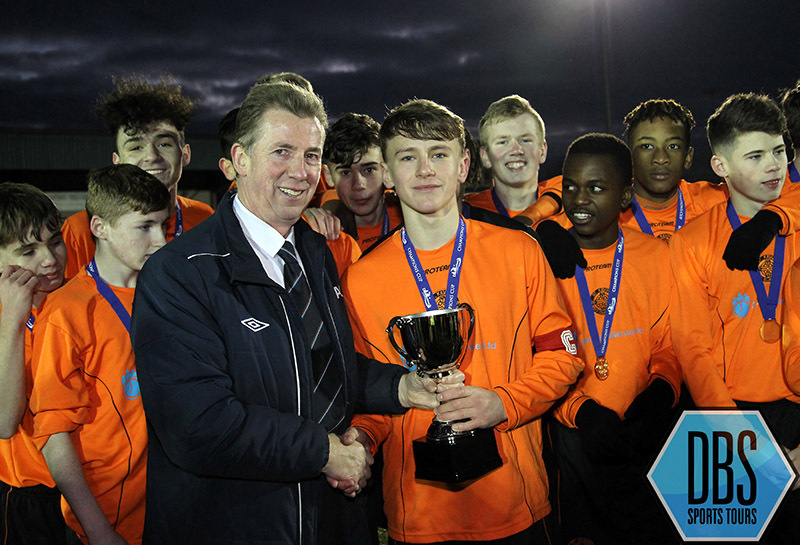 Belvedere had hoped for a much improved performance from their showing in 2015, and began in confident mood. 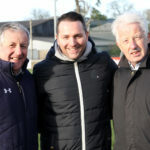 However, it was Dungannon who broke the deadlock after 13 minutes, with Sean McAllister slotting home. 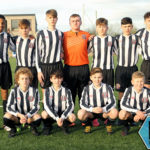 Belvedere hit back straight away to level the score, but it was Dungannon who once again took the lead through waves of pressure on the Belvedere goal. 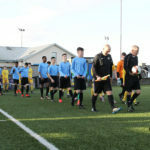 Despite that, Belvedere proved they would not go down without a fight, drawing level once more, several minutes into the second-half. 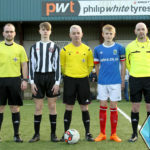 Steely determination proved not enough however, with Dungannon taking the lead, and subsequently extending that lead in the second-half to run out 4-2 winners in an end-to-end and goal-laden occasion. 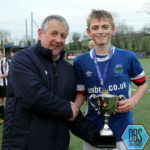 Next up was the 2002 age group’s fixture wherein Linfield FC took on St. Joseph’s Boys. 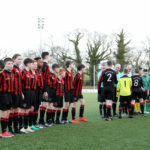 This was for many onlookers the match to look out for most in this year’s Champions Cup, with both clubs having met twice previously, with the Dublin club securing victory on both occasions. This time the tables turned; starting fast it was Linfield who broke the deadlock after only a couple minutes. 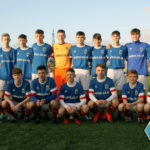 Despite a valiant effort to stay within Linfield’s reach St. Joseph’s Boys found themselves 3-0 down by half-time. 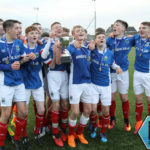 While efforts never waned the Dublin outfit struggled to contain an often rampant Linfield side who struck twice more in the second-half, racking up an eye-opening 5-0 score-line on the day, securing another victory for the NIFBA clubs in the 2016 Champions Cup. 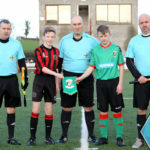 Last but certainly not least was the 2001 age group fixture which was Cliftonville FC take on St. Kevin’s Boys. 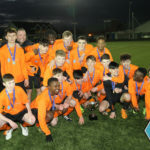 Under the floodlight it was up to the Dublin club to bring some silverware back following what was the most success NIFBA clubs have found in the Champions Cup to date. 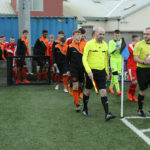 The Tangerine Boys were fast out the traps, showing aggression and a level of pace that proved too much for their NIFBA opponents. The deadlock was broken when Ryan Cassidy scored the first of an eventual hat-trick, proving to be the standout player of this year’s Champions Cup. It was 2-0 before half-time as Ryan Cassidy’s poachers instinct saw him react quickest to a rebound off a shot which struck the post. 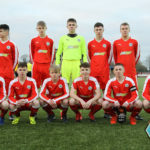 Subsequently Cliftonville showed some signs of a comeback, but any hopes of a revival were cut short inside the second-half when Ryan Cassidy secured his hat-trick in what was the perfect day for both him and his team. 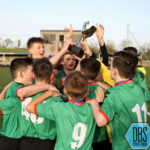 The Champions Cup of 2016 was the 5th year the tournament has been ran, illustrating DB Sport Tours’ commitment to the growth of Irish footballer, for the whole of Ireland. 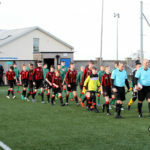 Bringing clubs from both NIFBA and SFAI isn’t the easiest of tasks but through the collaboration of many great people the tournament continues to grow each year. 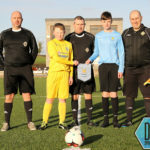 Everyone here at DB Sports Tours would like to wish our readers of the club and all people we worked with over the last year a happy New Year, as we hope to work with you again soon. 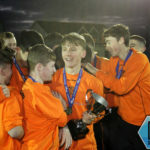 Should you like to arrange a new sports tour, enter a tournament or anything else you can contact the offices by visiting this page. Meanwhile don’t forget to read our busy blog here, detailing all our varied news.